You can select up to 1 travellers in total. The Ferrari GTC4Lusso is a modern motorcar of rare pedigree, wowing sports car enthusiasts with its stylish design when it rolled off the production lines—but like many Ferraris, it comes with a price tag to match. 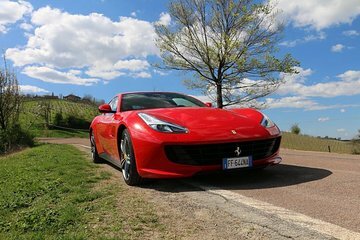 On this driving experience, take the wheel of a GTC4Lusso and feel the unique thrill of Ferrari for yourself. Cruise the Maranello streets or hit the gas in the Italian countryside, and feel the full force of the mighty V12 engine.